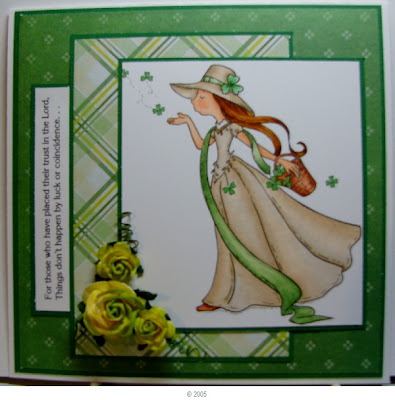 Welcome to Twist of Faith, where we share through faithful, encouraging, healing and uplifting card creations. Each week, as a challenge closes, we will introduce a new challenge to you. 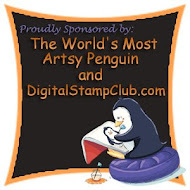 We showcase three challenge entries that spoke to the challenge the most... and they will receive our Top 3 blog badge. Congratulations to our Top 3 this week! DOROTHY, if you would contact me at the yahoo email address on the right, I will arrange for your prize to be delivered to you! Thank you Eureka Stamps!
" May the raindrops fall lightly on your brow. May the burdens of the day rest lightly upon you.And may God enfold you in the mantle of His love. " I share here an Irish blessing. 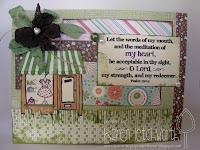 You are free to use whatever scripture, or verse/passage that will suit your creation in our theme. We look forward to seeing your creations in our IRISH BLESSINGS theme, shared with us here. Have a blessed week! Congrats to the creators of those lovely cards! Thank you for selecting my card for a great prize! I will have fun with them. Thanks also to Eureka for sponsoring the challenge. Great cards ladies...lots of inspiration. Hugs & blessings on your day!